Can You Help My Son Or Daughter? Change Group Co-Founder Starting St. Louis Counseling Practice. 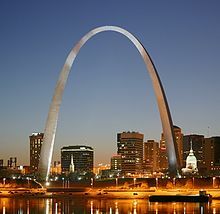 Ryan Neace, one of the co-founders of The Change Group, is starting a practice in his old stomping grounds, St. Louis, MO. The new St. Louis Counseling practice will be called ‘Change, Incorporated’, and will be inclusive of many of the same concepts as The Change Group at its core. The Change Group’s unique integrative model is what makes it stand out from run of the mill counseling practices. Instead of outpatient counseling once a week, clients pursue mental health therapy, exercise or yoga training, wellness consultation, and spiritual direction, either in the form of “traditional spiritual direction” or via meditation and mindfulness. The new St. Louis Counseling practice will open in 2013. Ryan Thomas Neace is the co-founder and managing director of The Change Group, and holds a Master of Arts in Marriage and Family Therapy. He brings nearly 10 years of mental health experience to The Change Group. He is also an official blogger for the American Counseling Association. Revitalized Communication, Renewed Commitment, and Restored Hope! End of Summer Sale! 1 Month of Free Services with 90-Days to Change at The Change Group in Lynchburg! Each day in America, more people are beginning to sense the need for change. Many seek to make a difference politically, socially, or through religious or other means. These are important. But often what we most long for is deep, inner change. At The Change Group, we help individuals on a journey of change toward a more positive, fulfilling, and meaningful life. Call us today at 1-855-55-CHANGE (1-855-552-4264)! If you're nervous about calling, just send us an email at contact@changegroupcounseling.com!